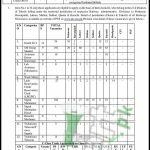 Get Latest Pakistan Railway Jobs PTS 2018 Application Form Download | pts.org.pk at this page. Federal Government Inspectorate, Government of Pakistan, Ministry of Railways, Headquarter, Lahore invites applications from the residents of Pakistan for the following vacancies in Pakistan Railway 2018. Pak Railway Jobs in Class Trade Apprentices on Operating Divisions are (Wireman/Power, Fitter/Power, Electrical Examiner/EEXR, Fitter, Wireman, Fitter OEI, Painter, Skilled Welder, Power Van Operator, Skilled Fitter, Skilled Wireman, Skilled Winder, Skilled Carpenter, Skilled Refrigeration Mechanic). For Guard Gr-I & SM Group Student BA/BSc from HEC recognized university is required to apply. For Kanoongo (Revenue Inspector) FA/Intermediate 2nd Division & Equivalent qualification with Diploma Certificate of Patwar Mall from Revenue Board is required to apply. For Lab Assistant (Mechanical) FSc and experience in Railways or Commercial Laboratory is required to apply. For Work Mistry Intermediate 2nd Division or equivalent is required to apply. For Lady Reservation Clerk/Reservation Clerk (LRC/RC) FA/FSc 2nd Divsion is required to apply. For all other positions Matric/Middle pass individuals having Trade/Technology Certificate and relevant experience are eligible to apply. Those candidates who fulfill the criteria mentioned above should apply as per the following how to apply procedure given in the next heading which is according to the rules of PTS, the reputed testing organization which is authorized by Pakistan Railways to conduct recruitment test and provides eligible candidates for interview. Complete of Vacancies announced in Pakistan Railway PTS Jobs 2018 can be examined from the following job advertisement given below. Interested candidates may download an application form and a deposit slip from the official site of PTS which is www.pts.org.pk or through web link is given below. A duly filled application form should be submitted along with the original copy of a paid deposit slip of test fee Rs. 170/- attested copies of educational certificates, and self-addressed duly stamped return envelope should be sent to the said address. The Pakistan Railways Jobs last date for applying is December 10, 2018. Test fee should be paid in any online branch of UBL and HBL. 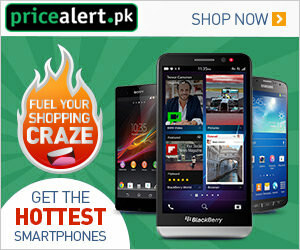 For Test Date, Candidates List and Result please keep in touch with our site JobsAlert.pk. Last Date to Apply: December 10, 2018.